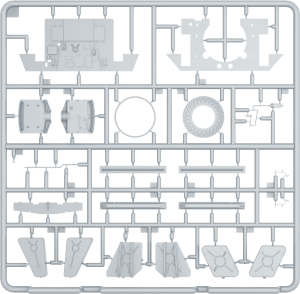 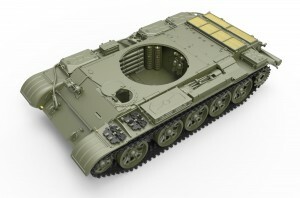 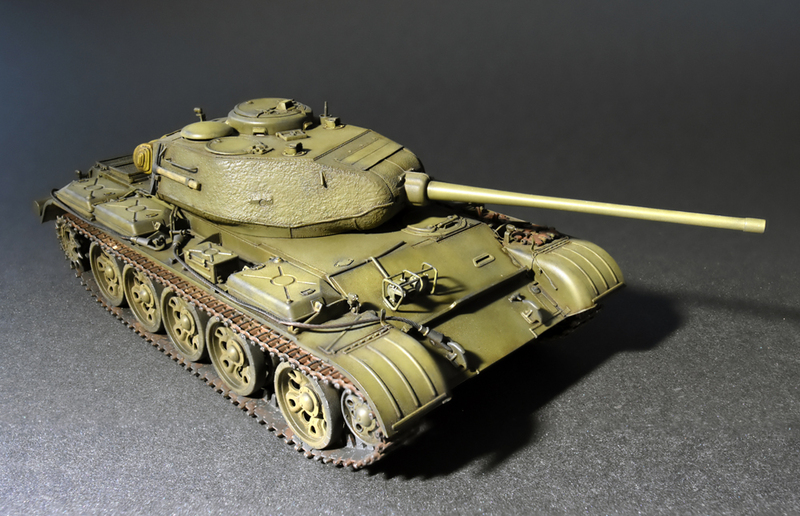 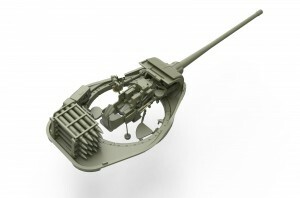 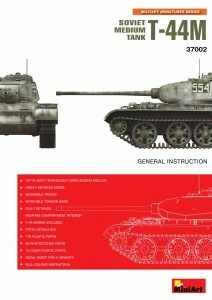 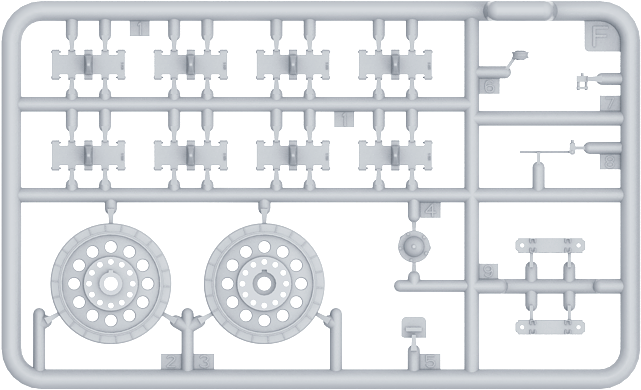 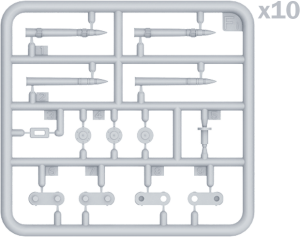 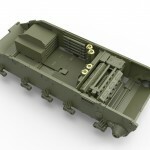 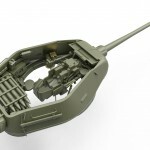 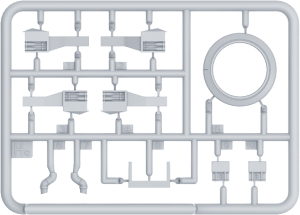 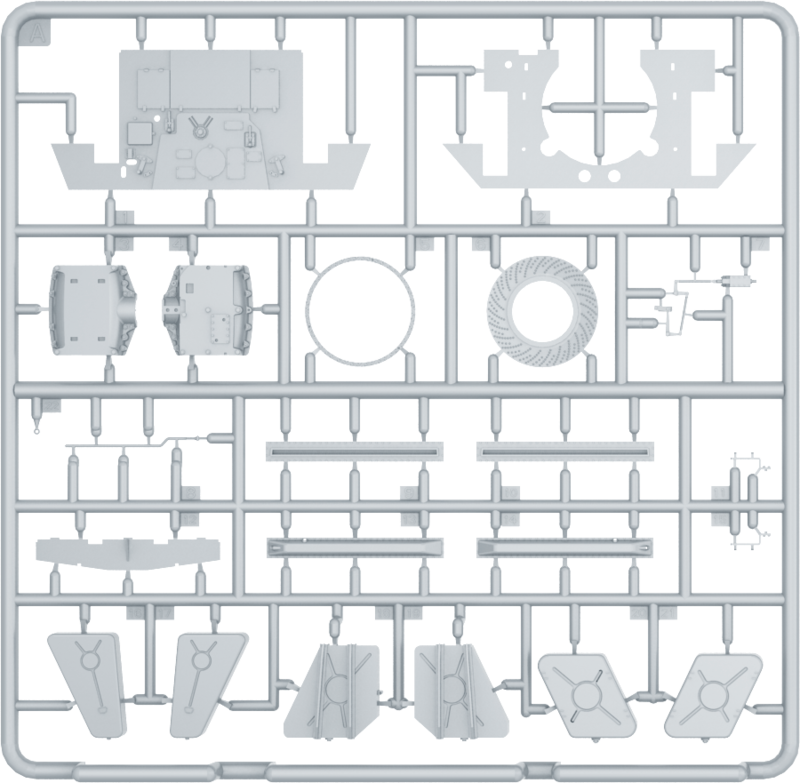 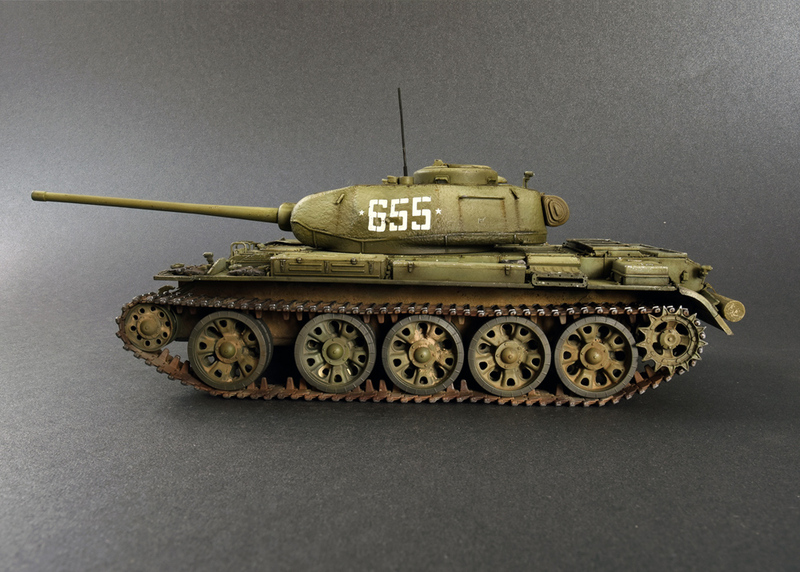 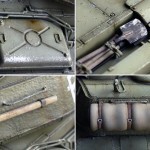 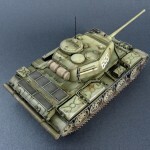 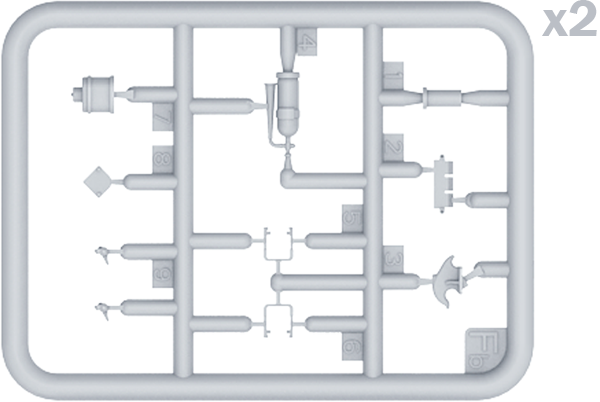 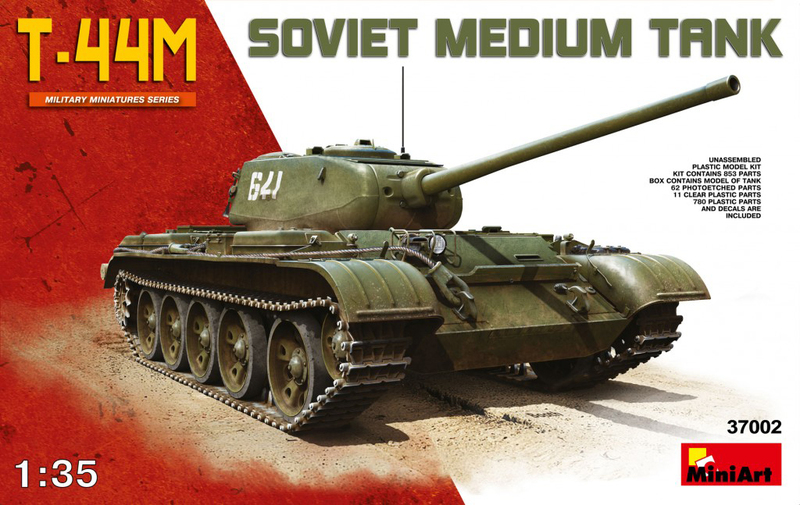 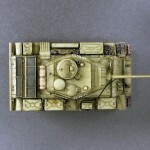 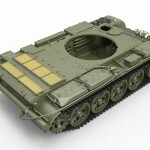 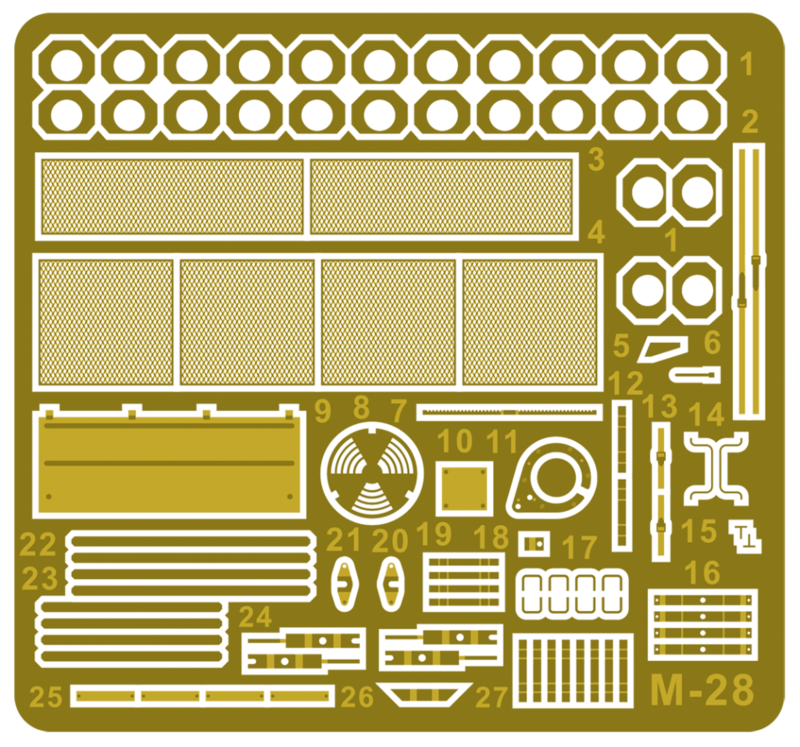 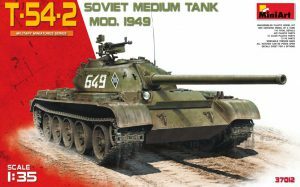 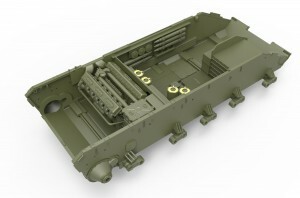 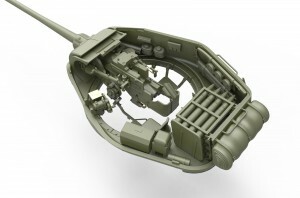 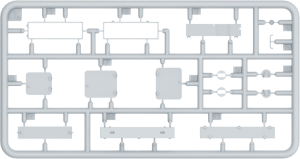 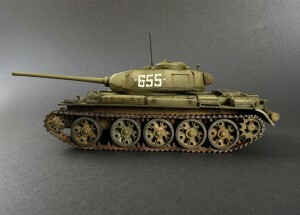 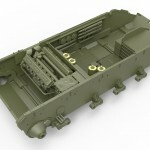 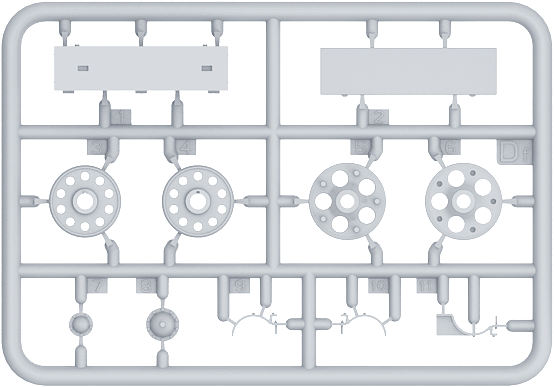 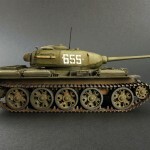 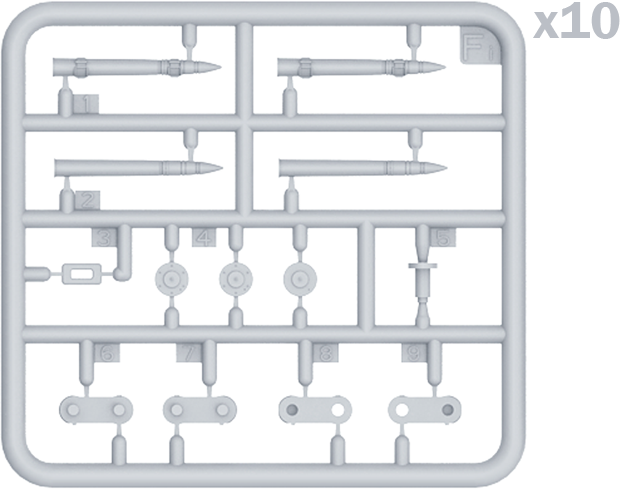 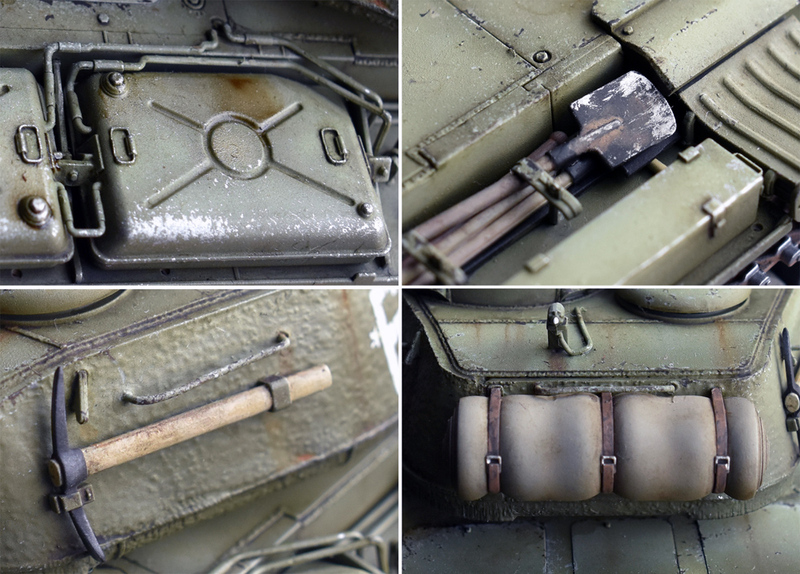 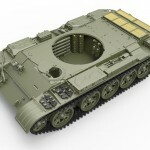 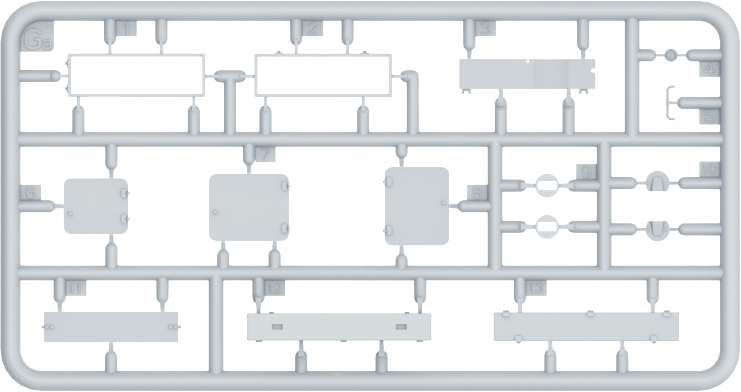 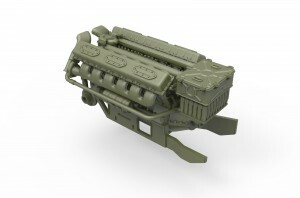 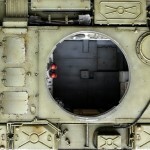 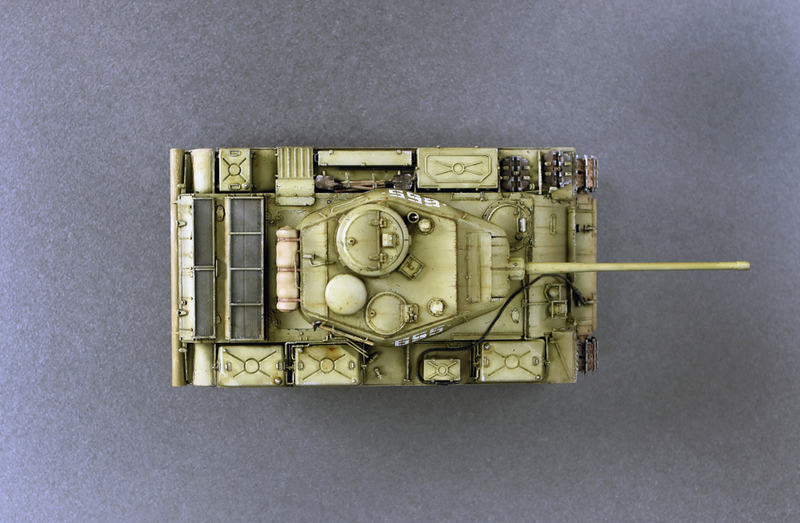 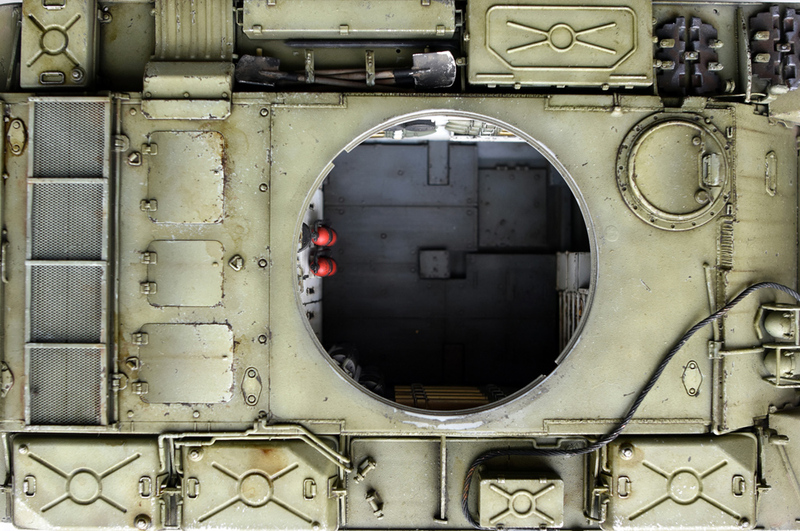 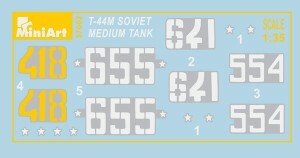 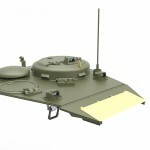 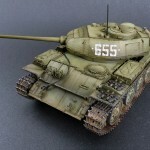 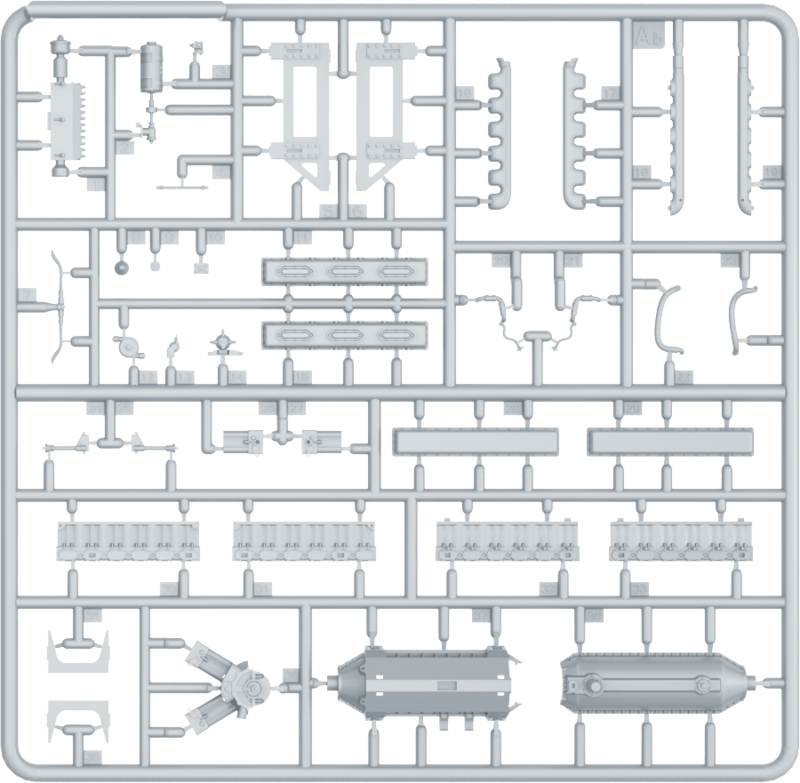 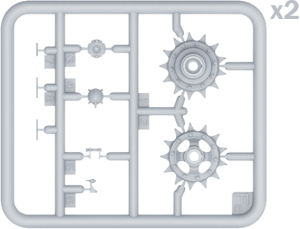 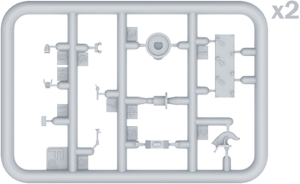 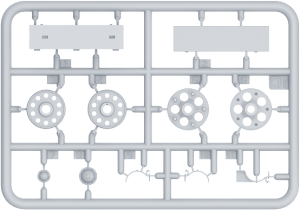 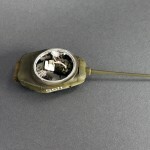 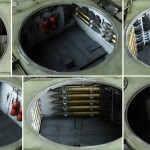 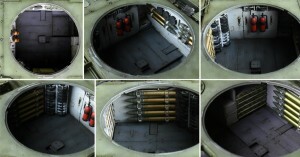 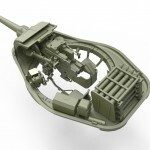 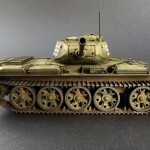 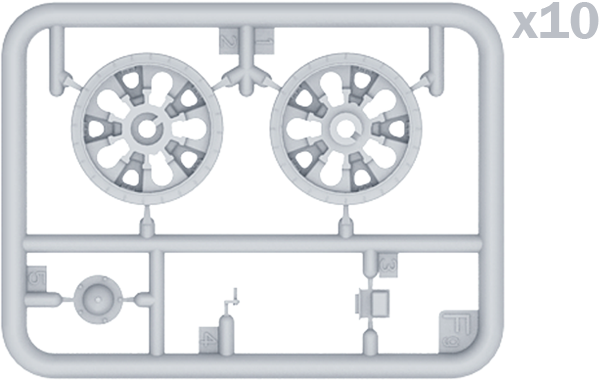 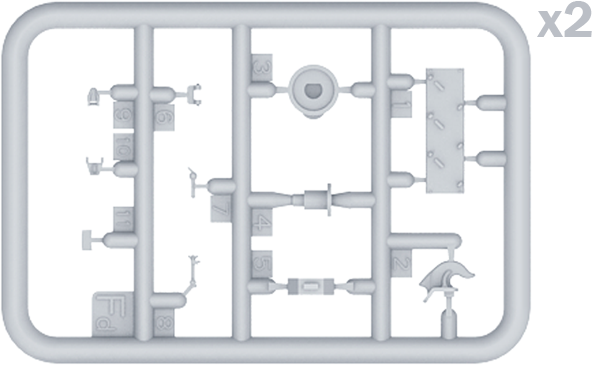 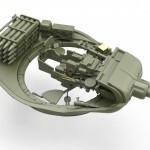 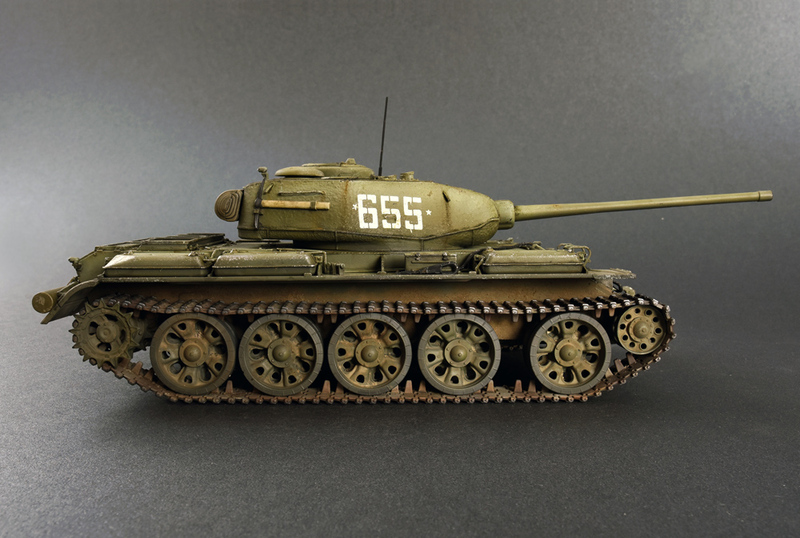 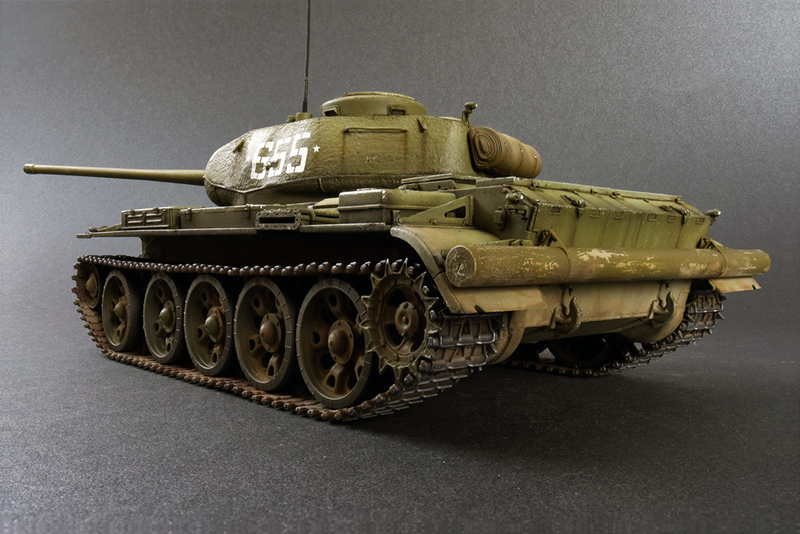 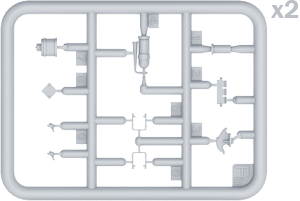 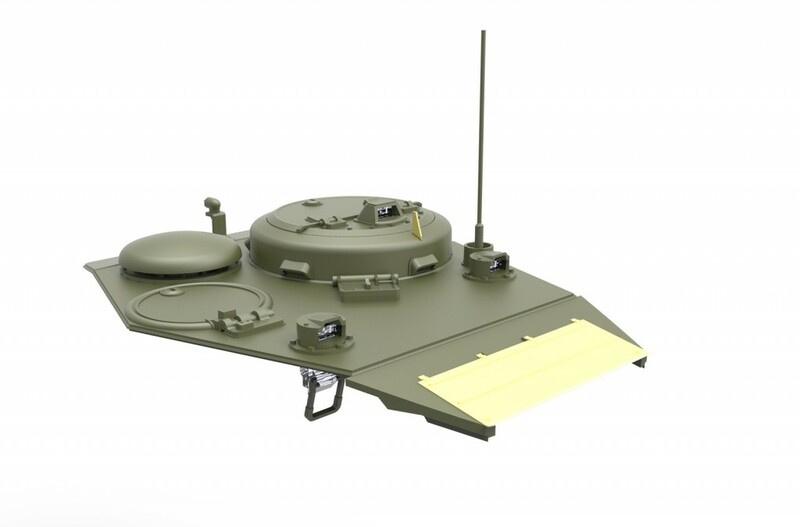 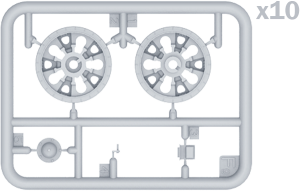 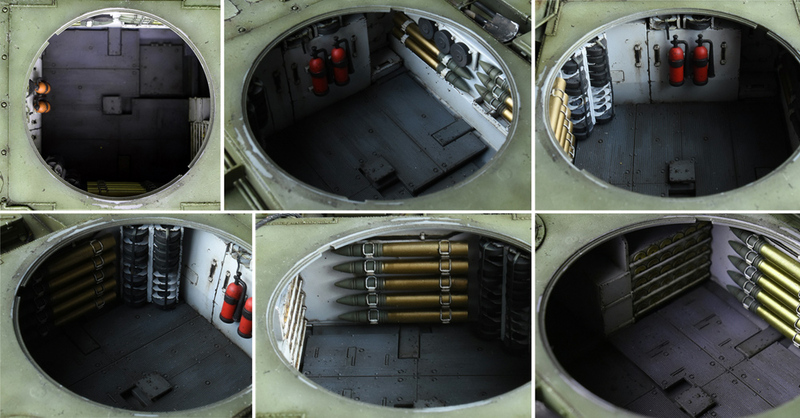 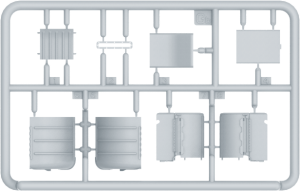 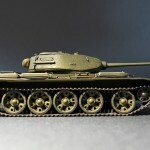 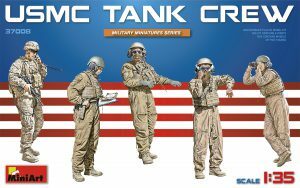 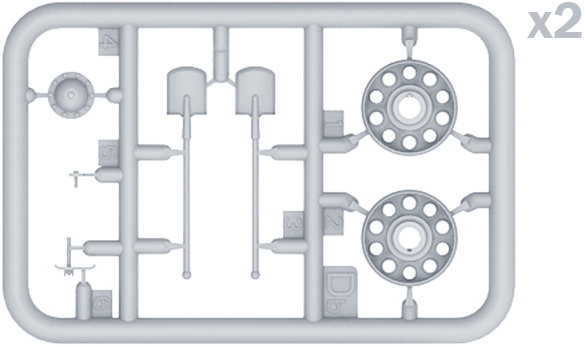 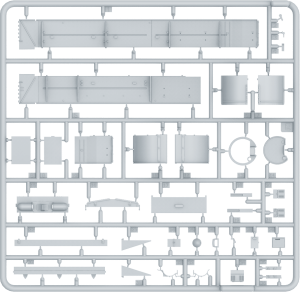 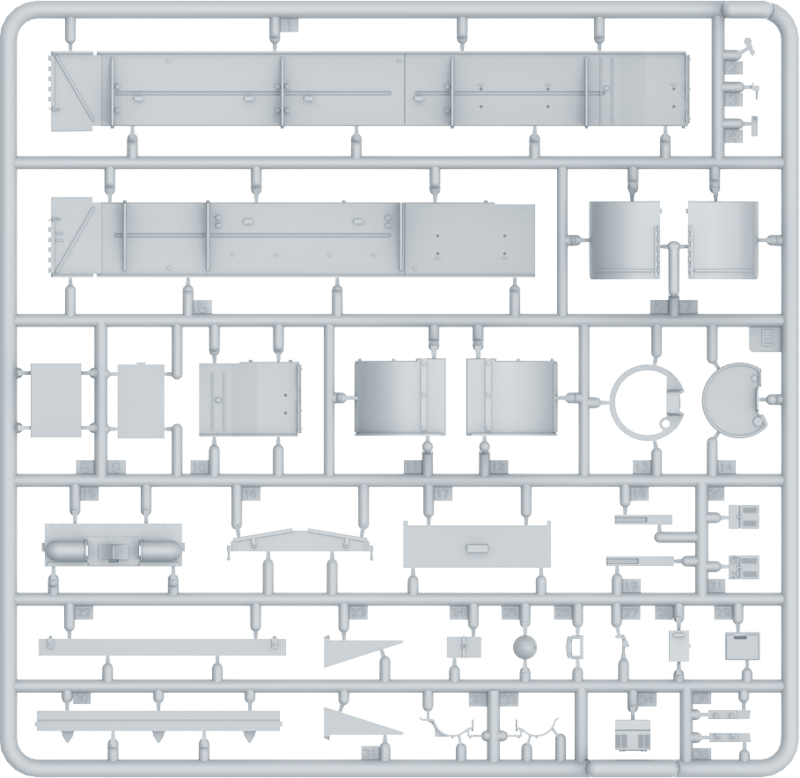 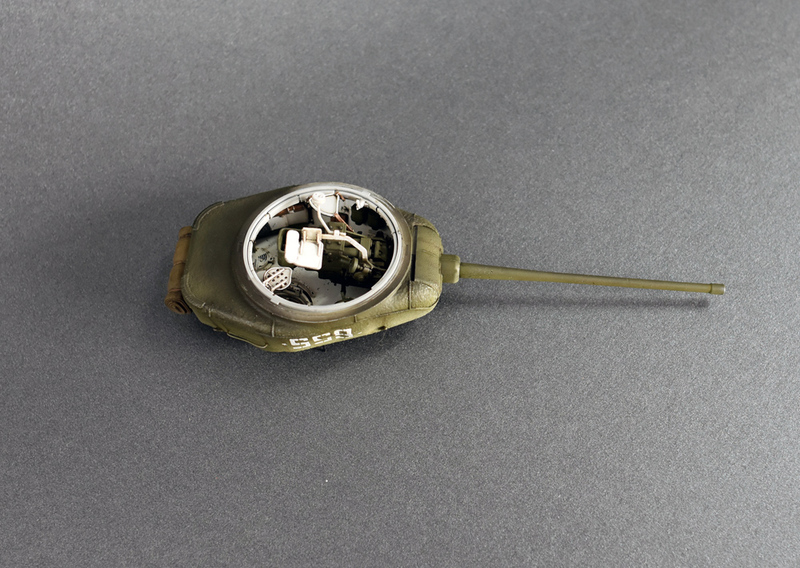 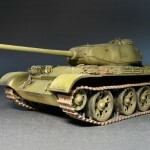 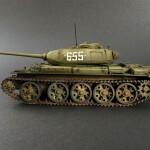 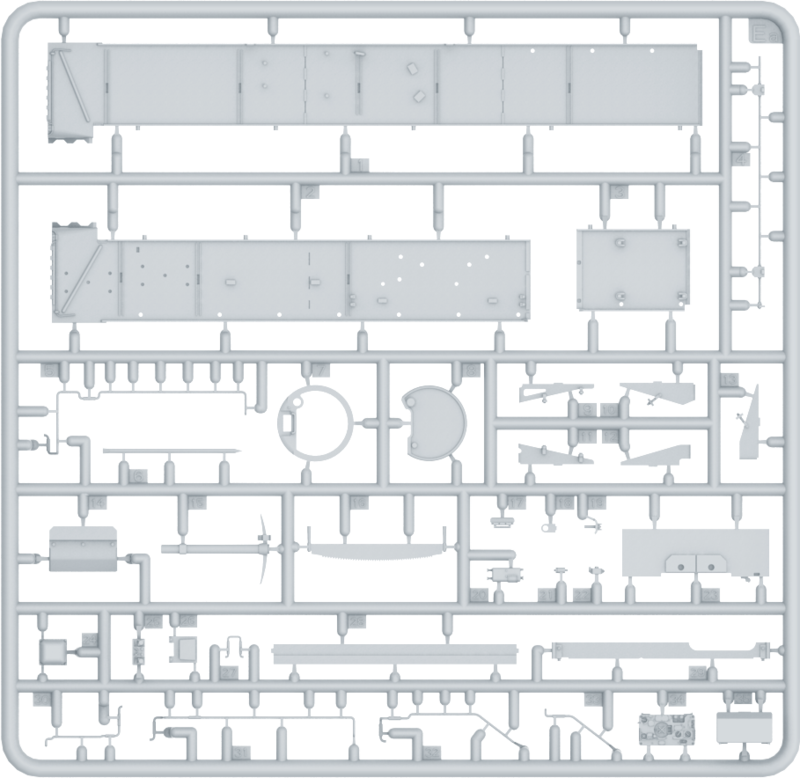 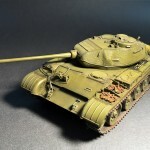 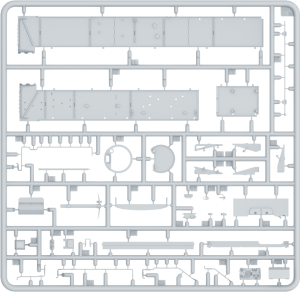 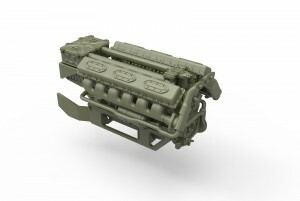 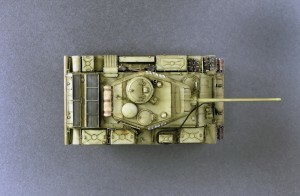 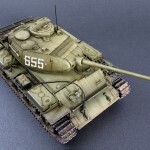 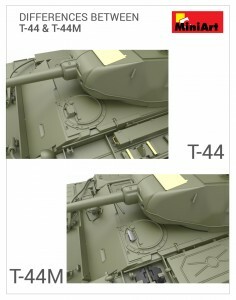 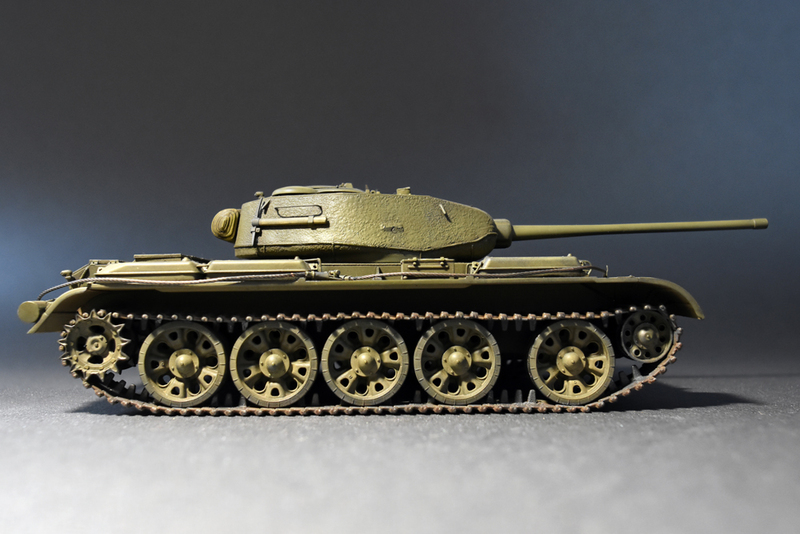 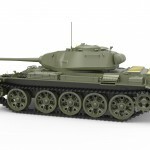 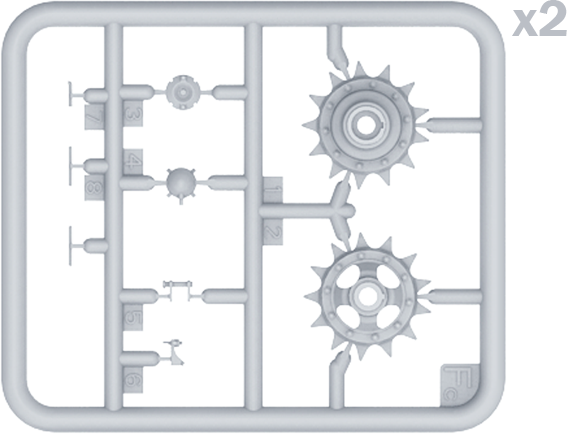 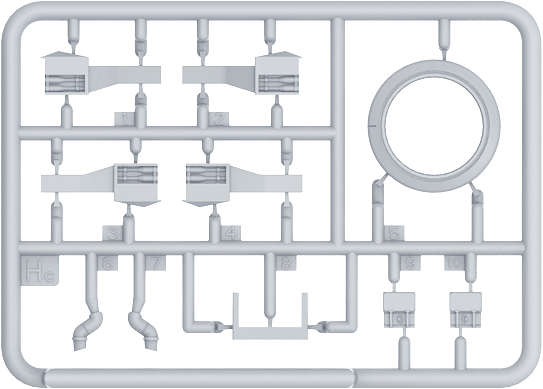 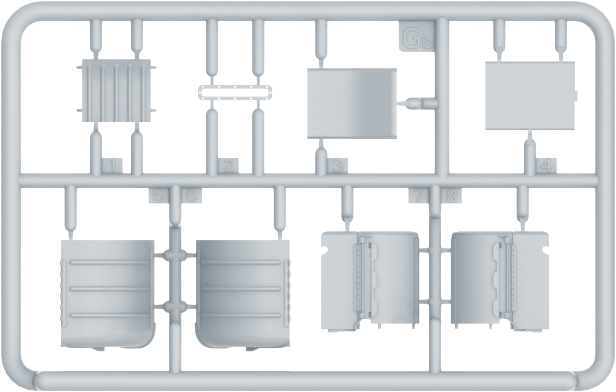 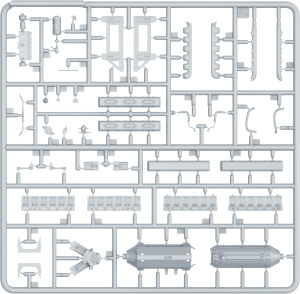 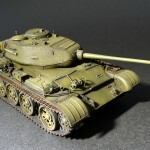 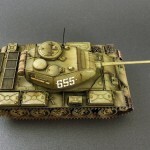 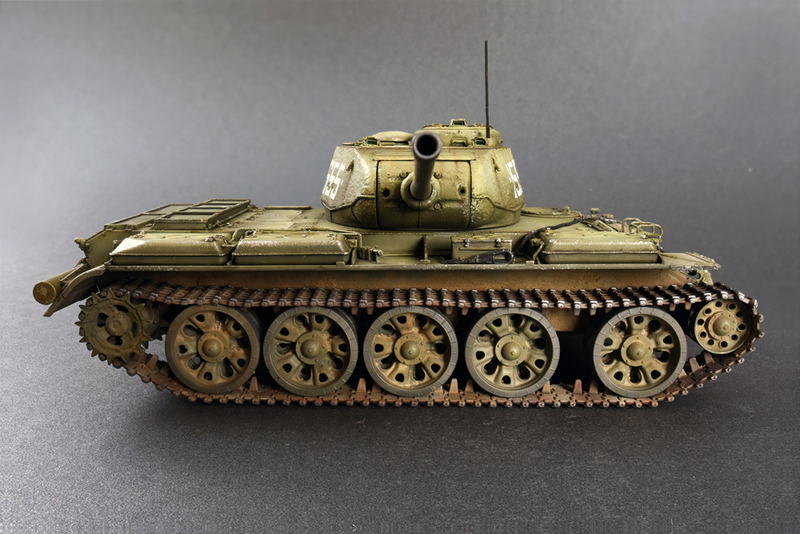 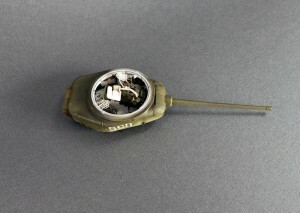 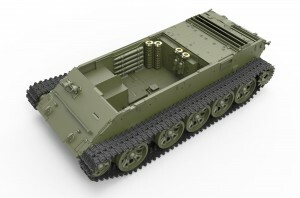 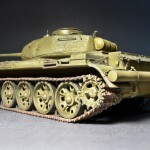 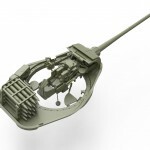 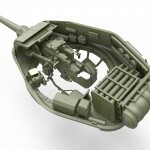 Set includes model of a soviet medium tank T-44M. 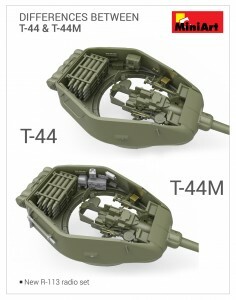 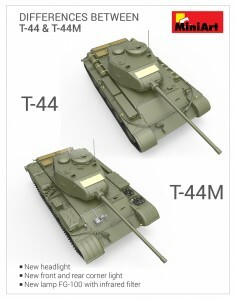 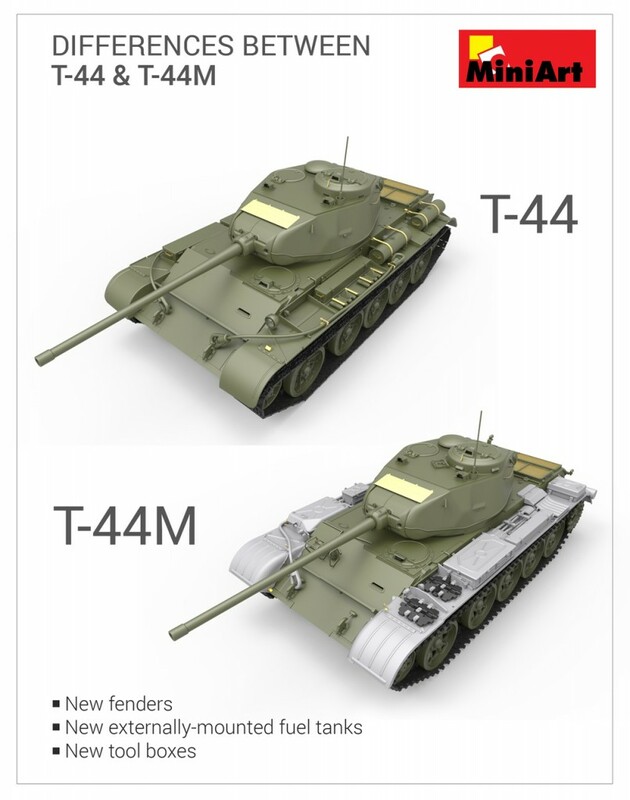 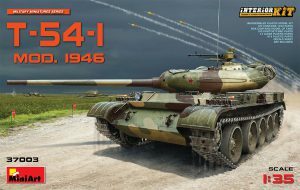 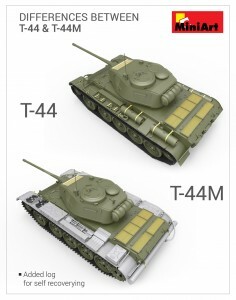 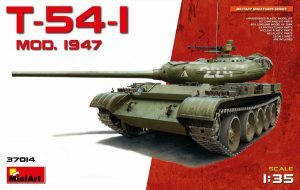 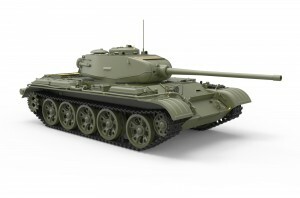 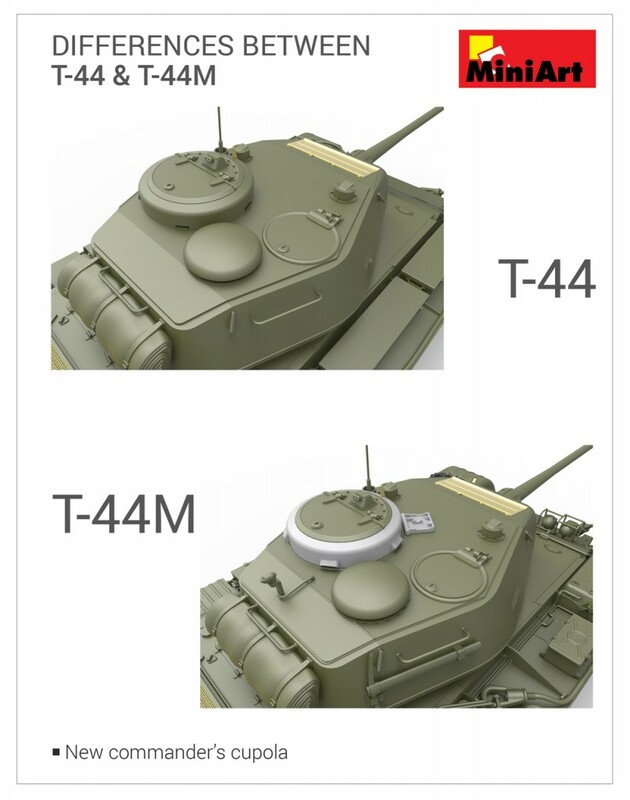 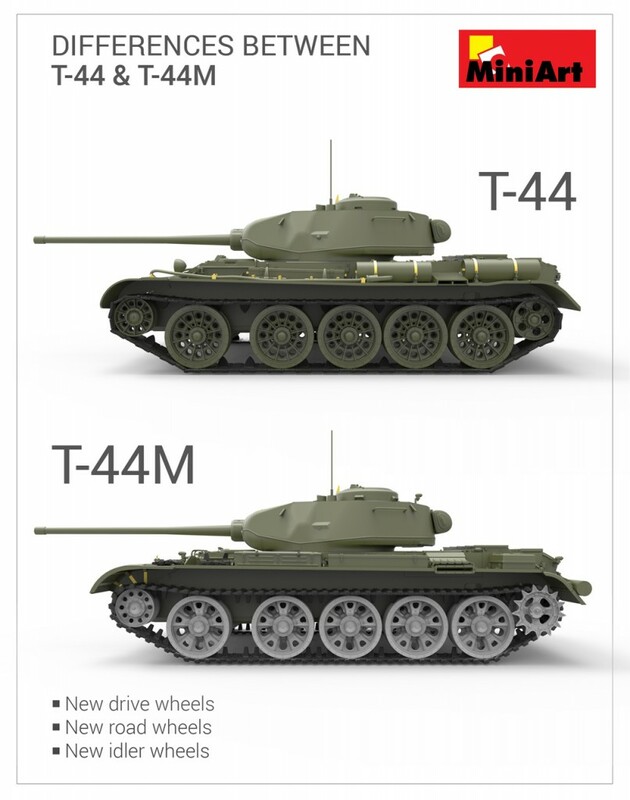 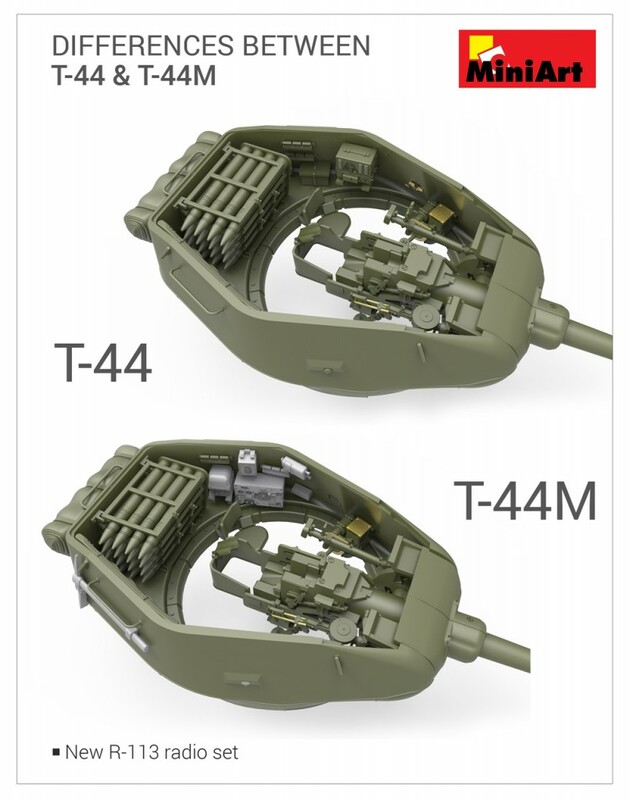 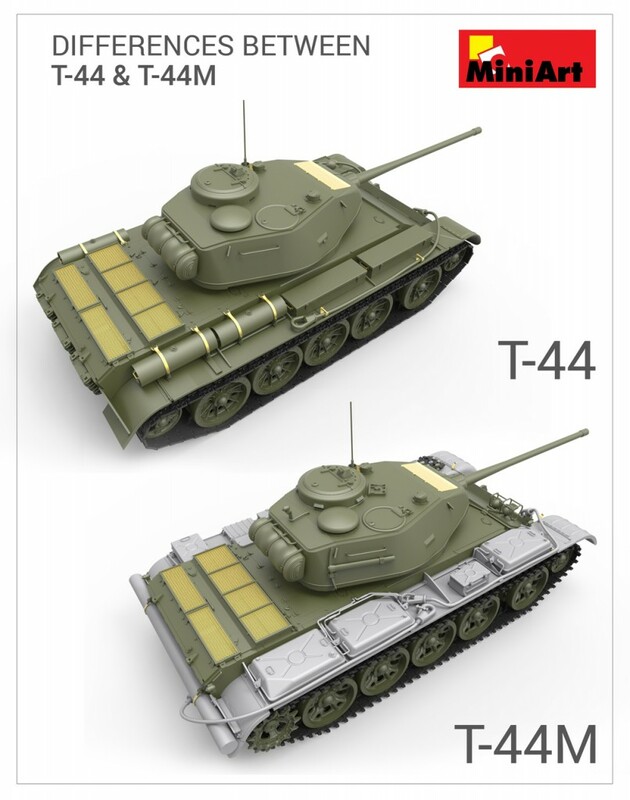 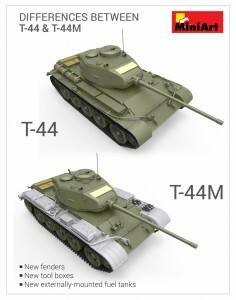 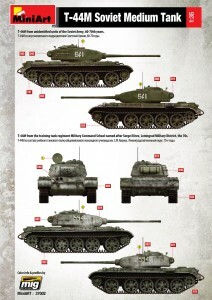 T-44 was created in 1943-1944. 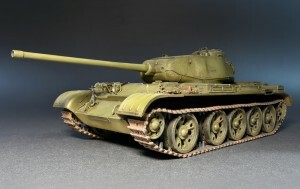 Though the T-44 did not see combat in World War II, it was issued to tank brigades for training purposes. It was never shown publicly during military parades and pictures were never shown publicly until the secrecy was dropped. 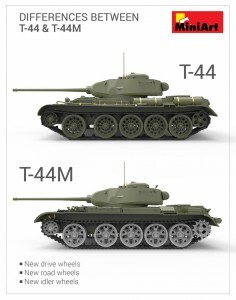 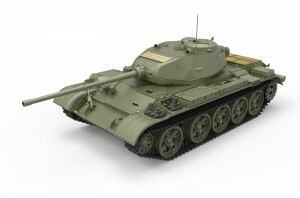 T-44 was being developed in order to create a tank that would have better combat and technical characteristics than the T-34. 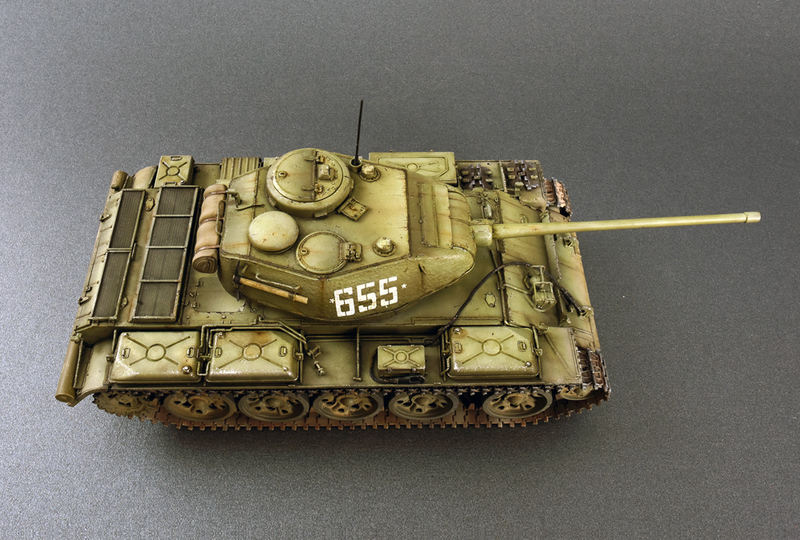 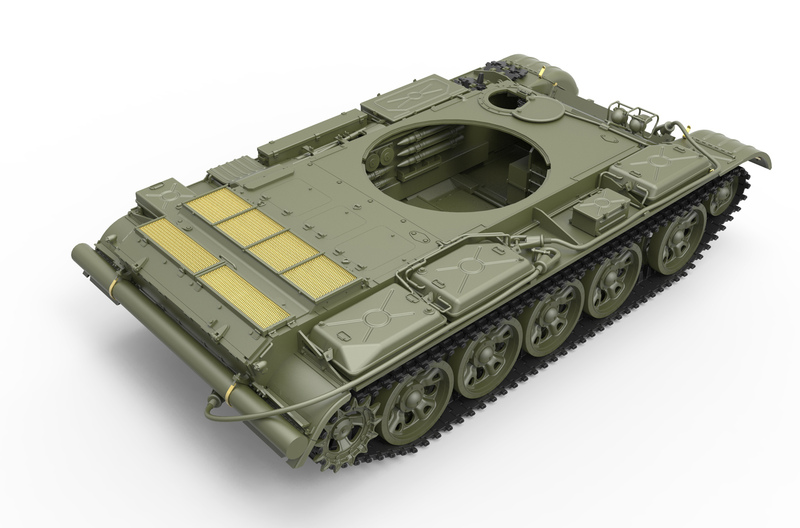 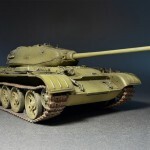 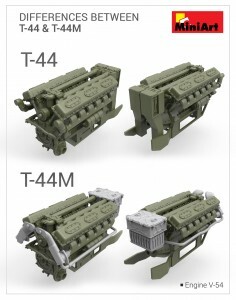 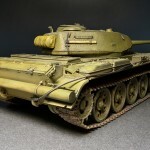 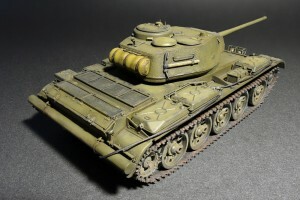 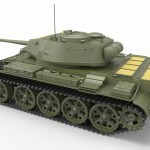 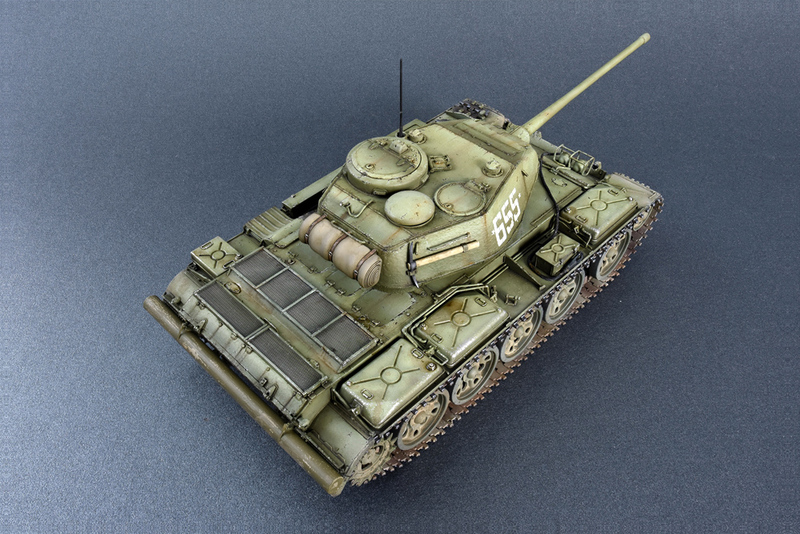 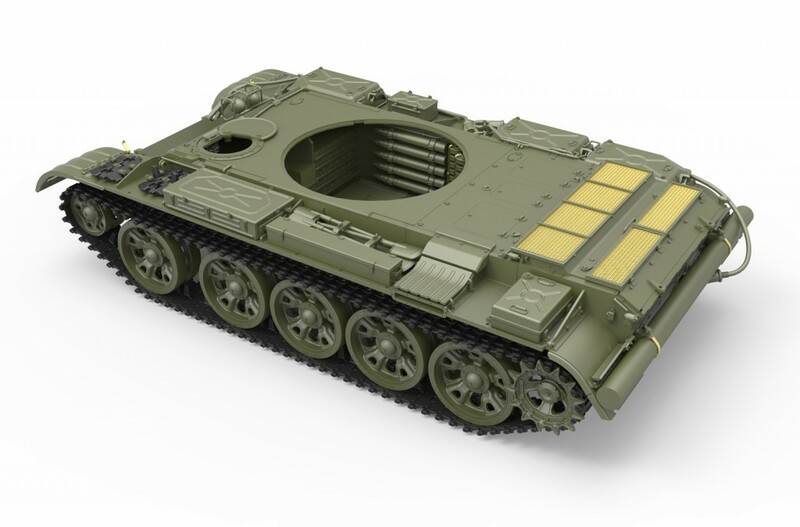 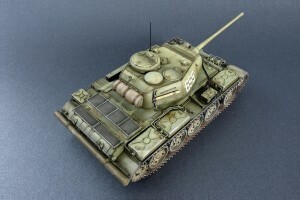 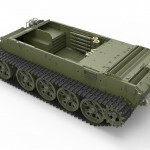 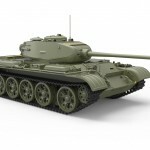 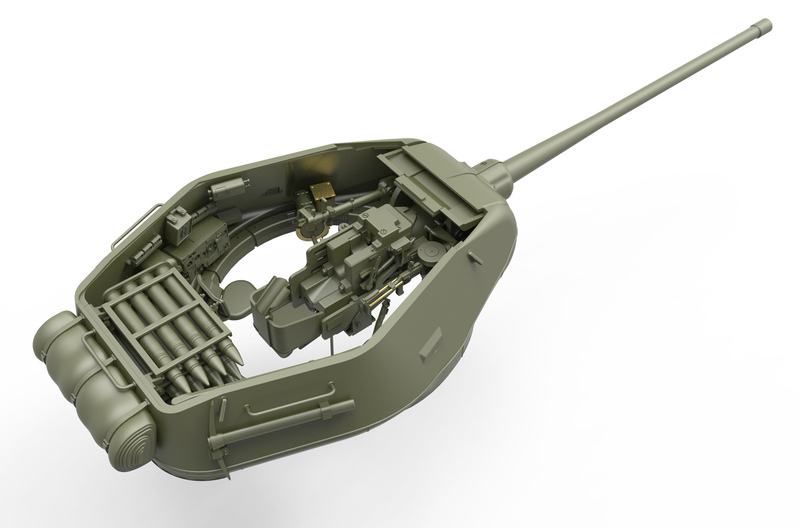 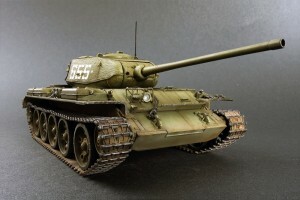 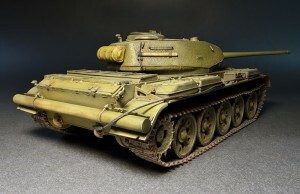 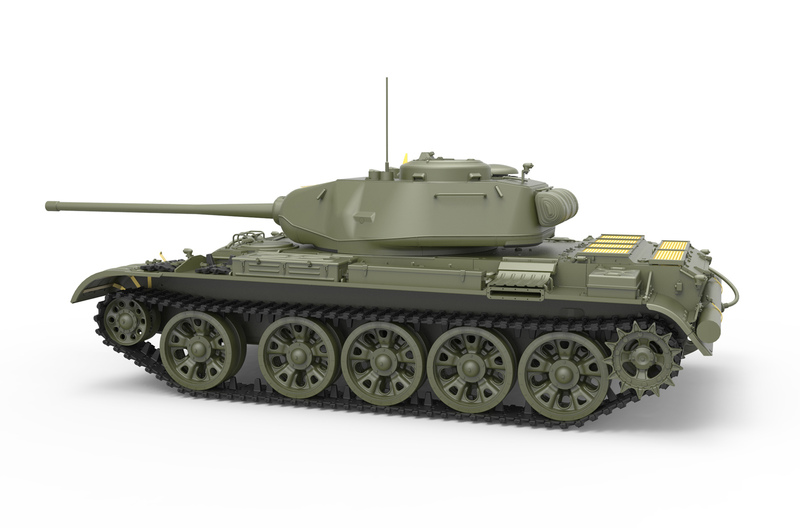 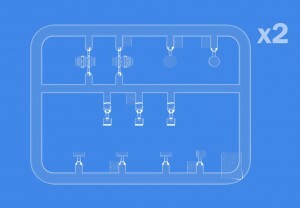 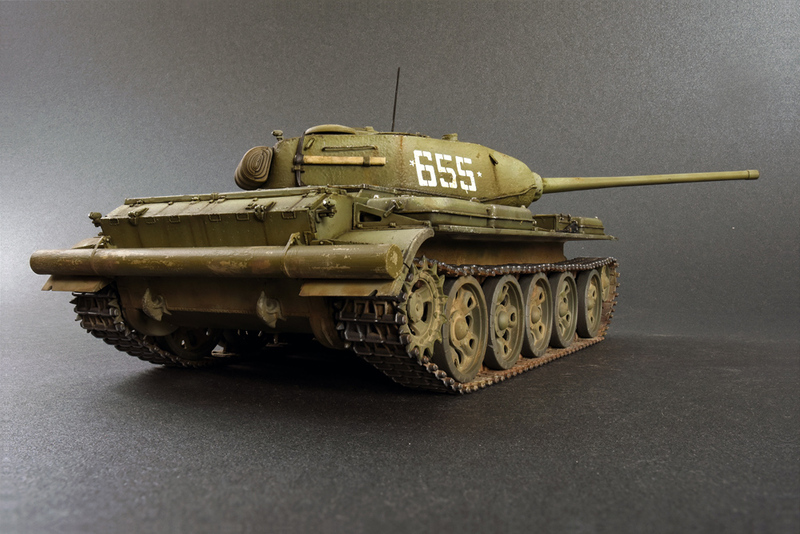 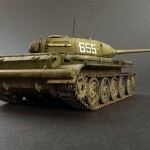 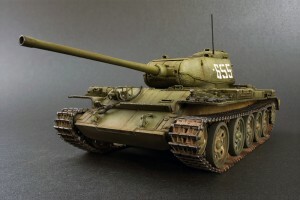 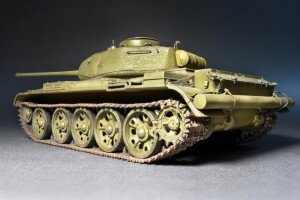 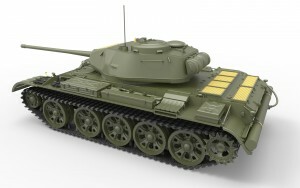 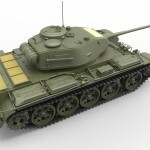 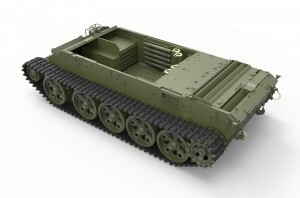 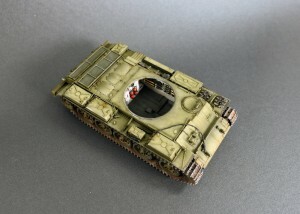 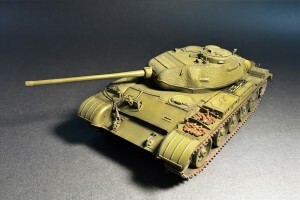 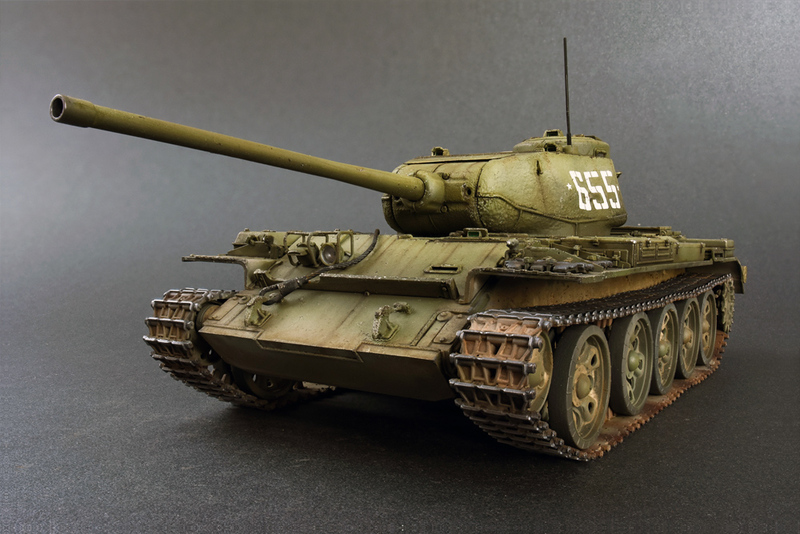 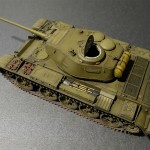 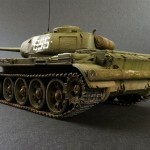 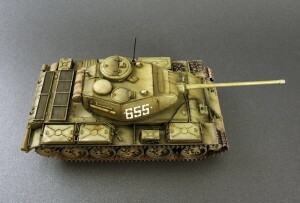 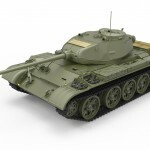 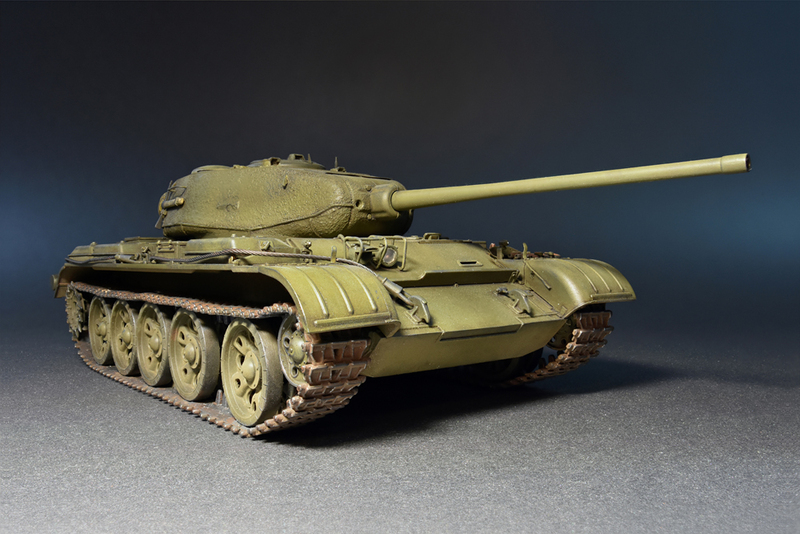 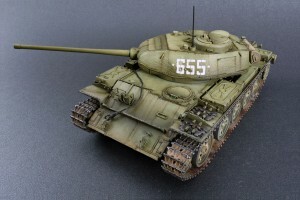 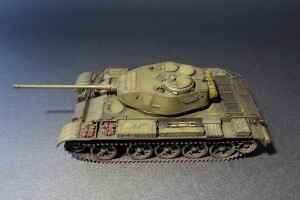 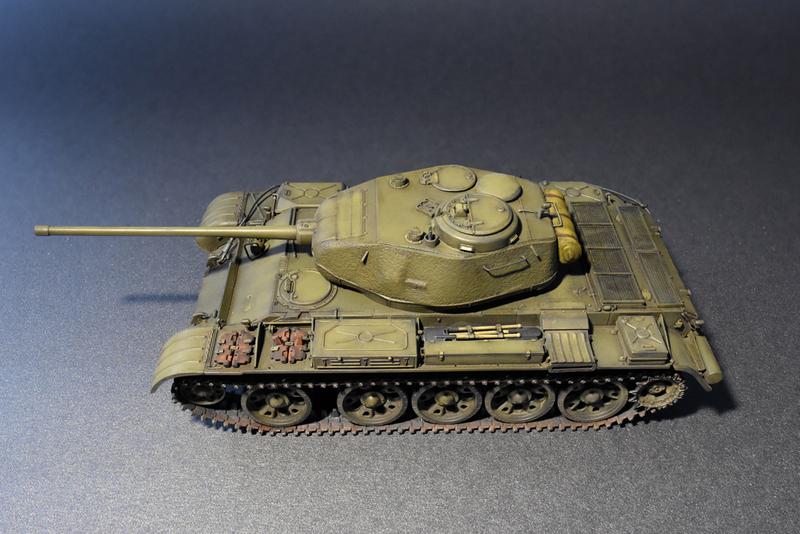 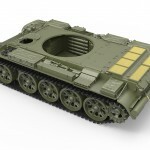 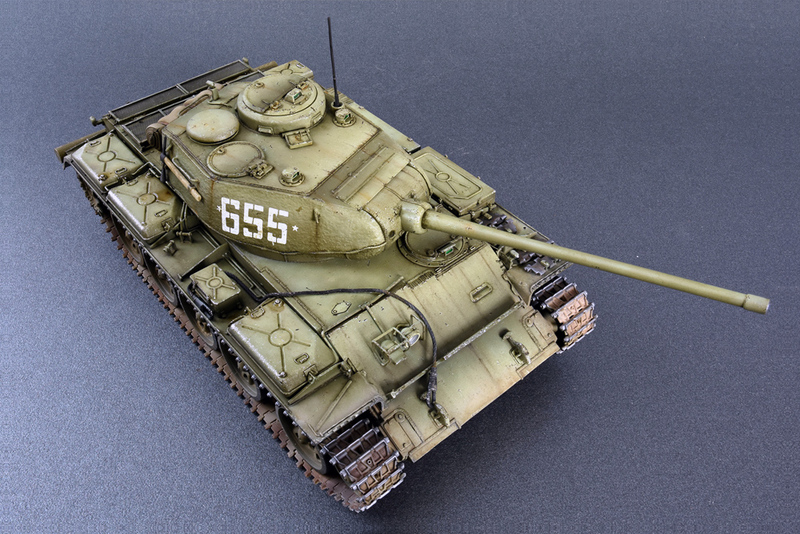 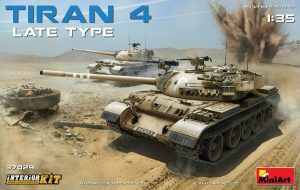 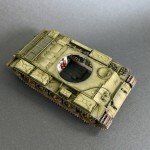 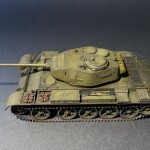 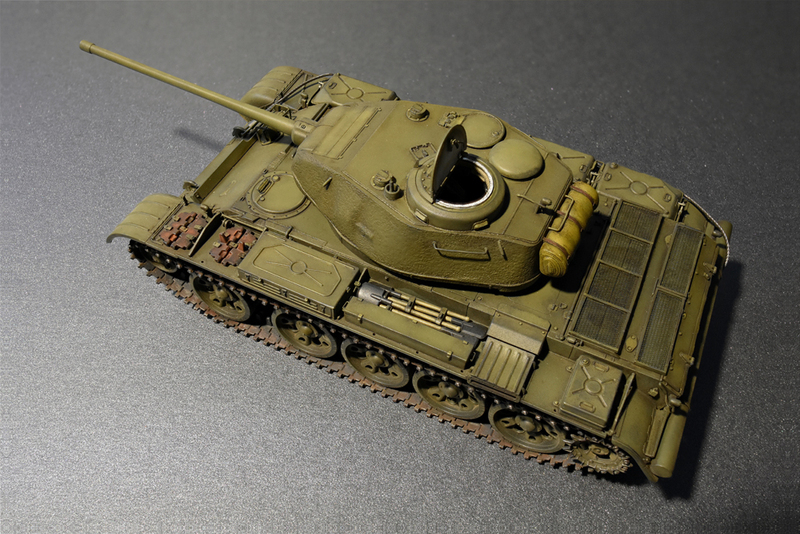 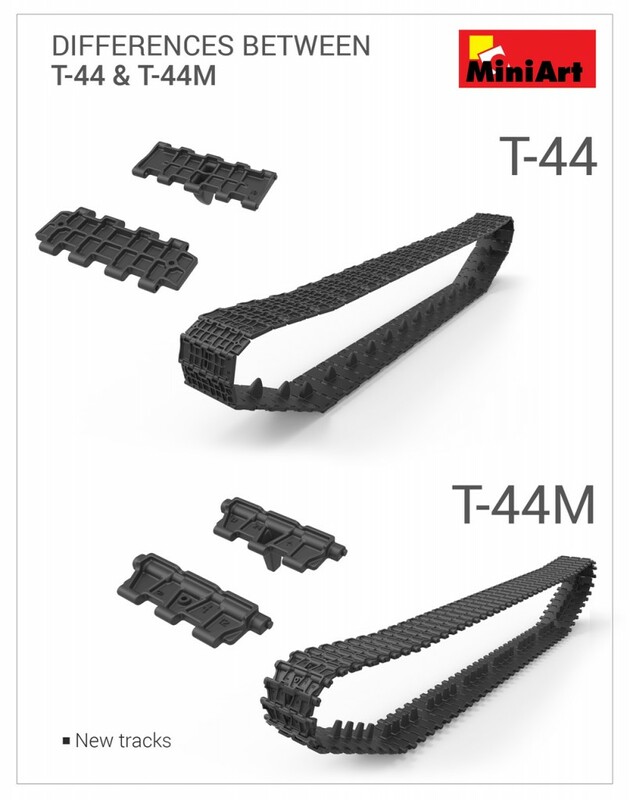 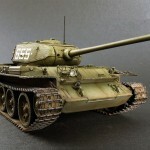 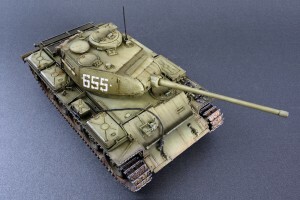 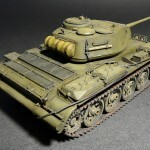 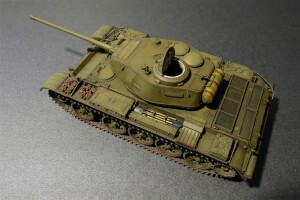 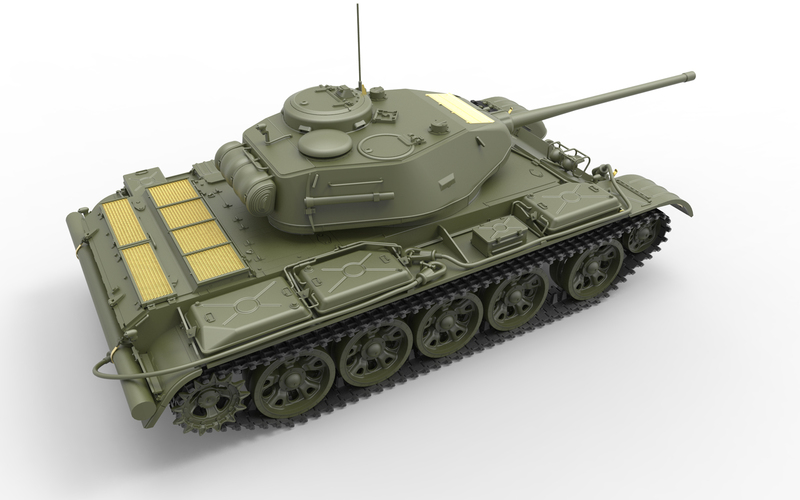 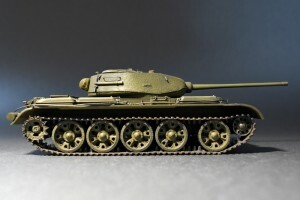 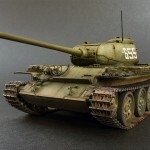 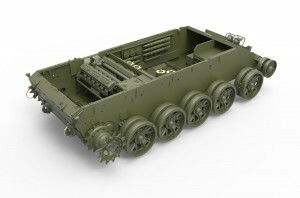 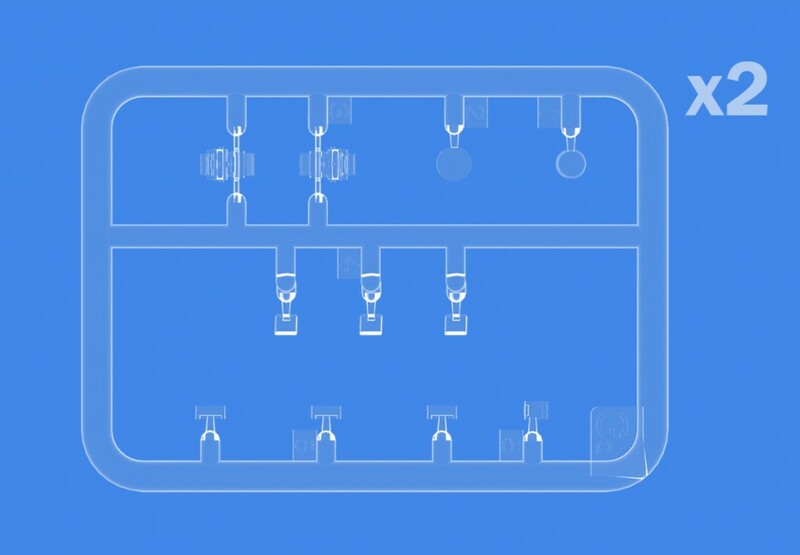 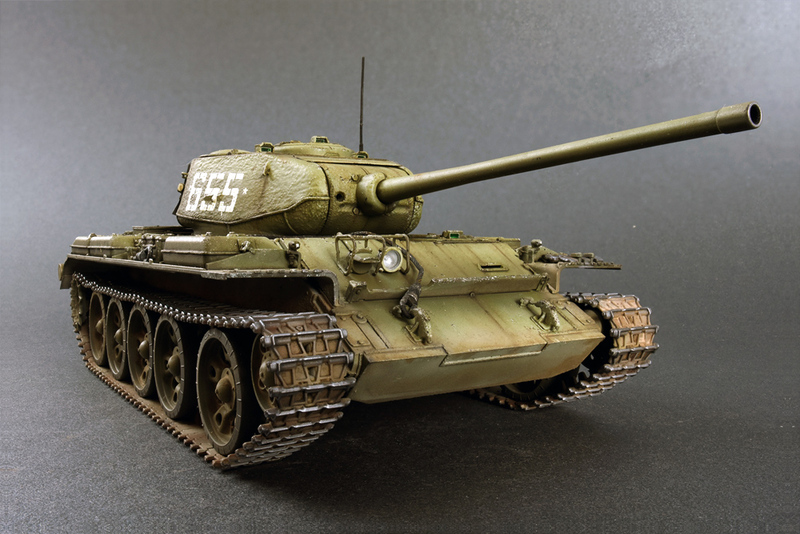 The original intention was to retain the high mobility and speed of a T-34 and to provide the T-44 with heavier armour protection against large-caliber tank guns. 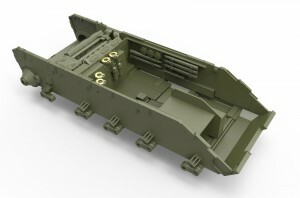 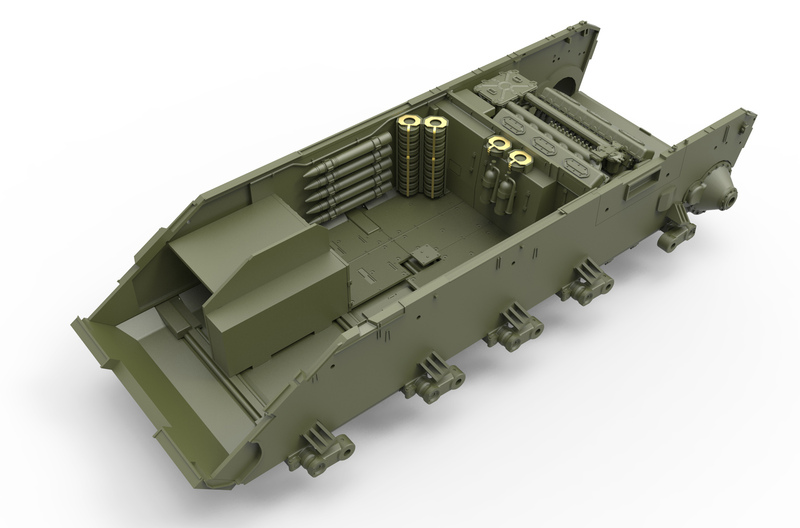 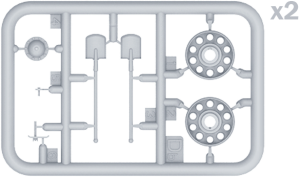 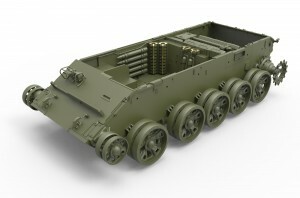 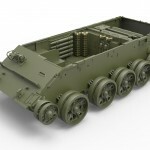 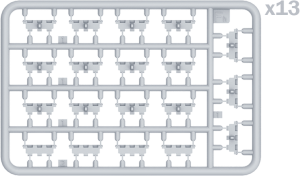 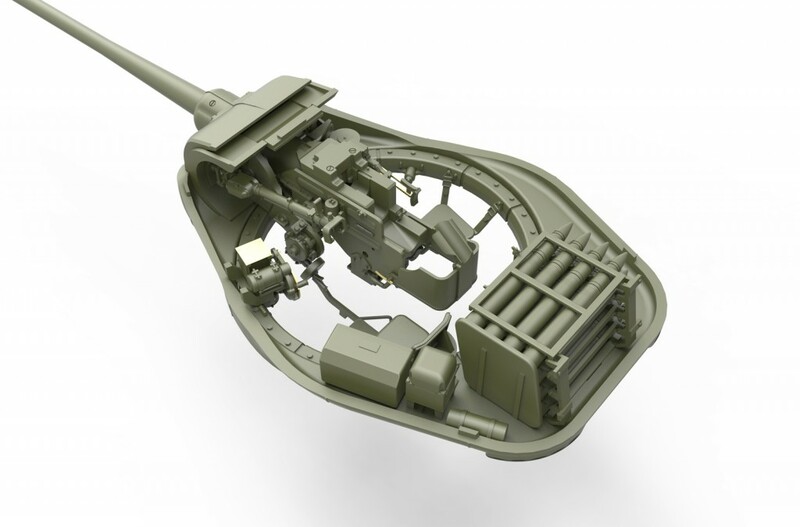 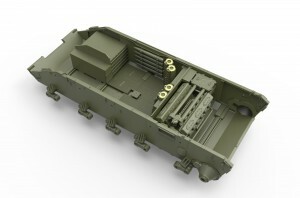 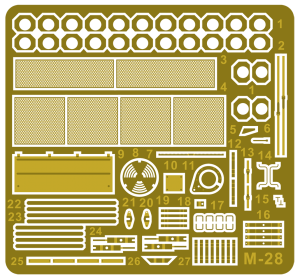 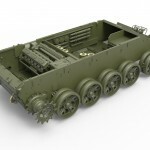 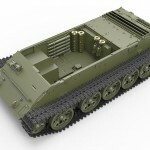 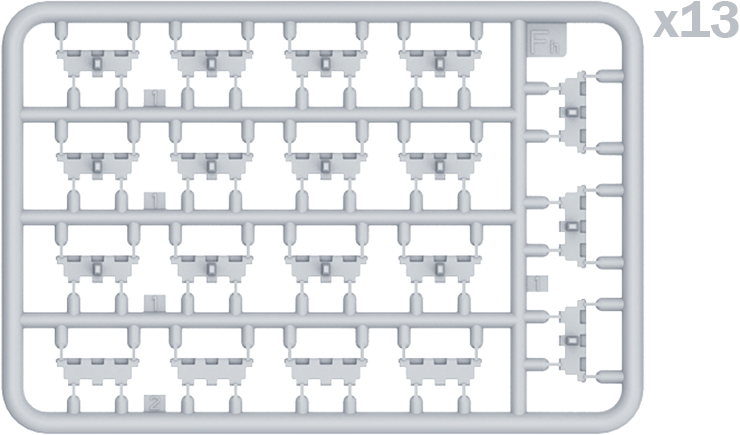 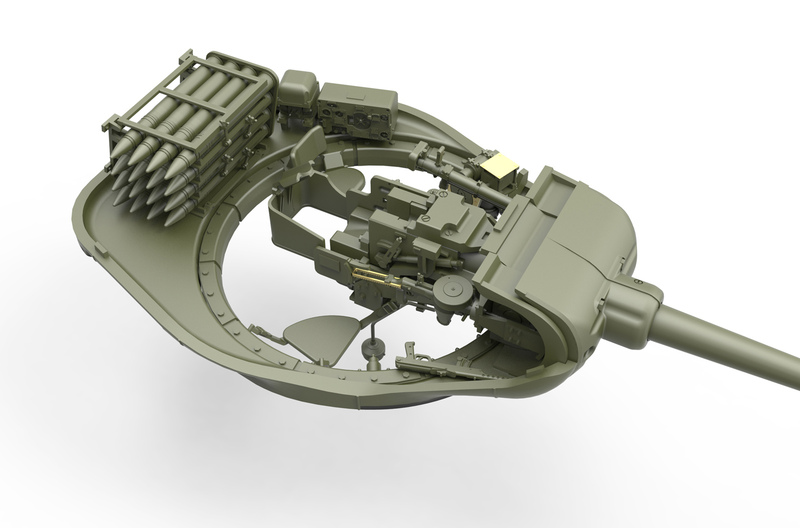 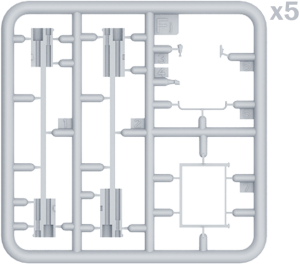 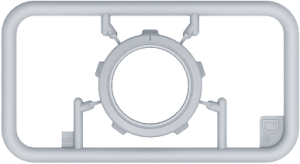 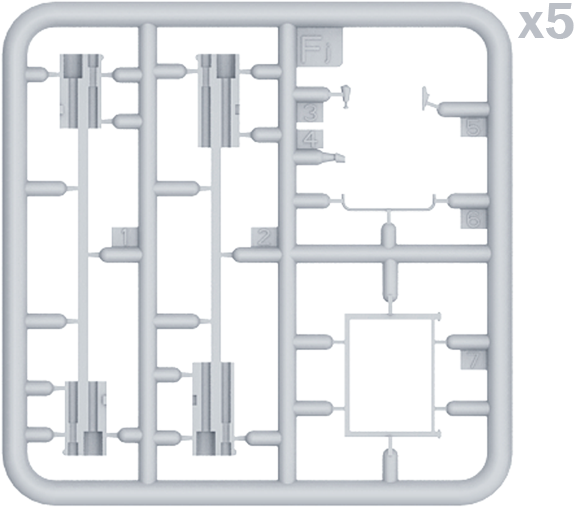 This was accomplished by adding thicker armour but reducing the internal volume of the hull. 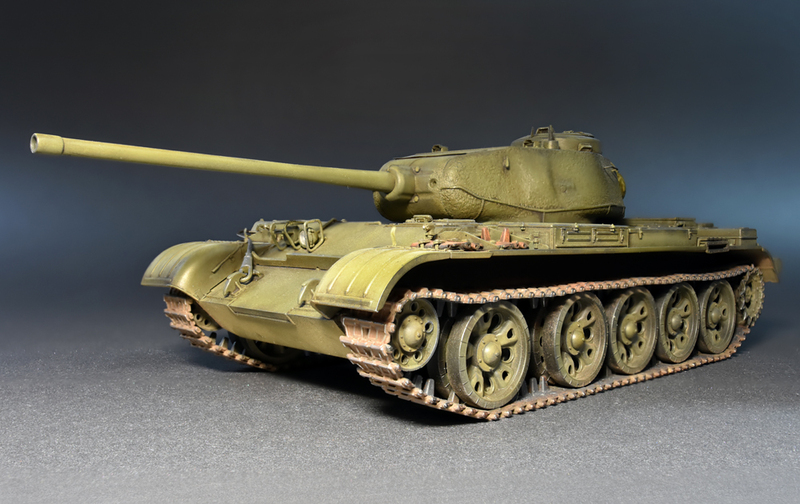 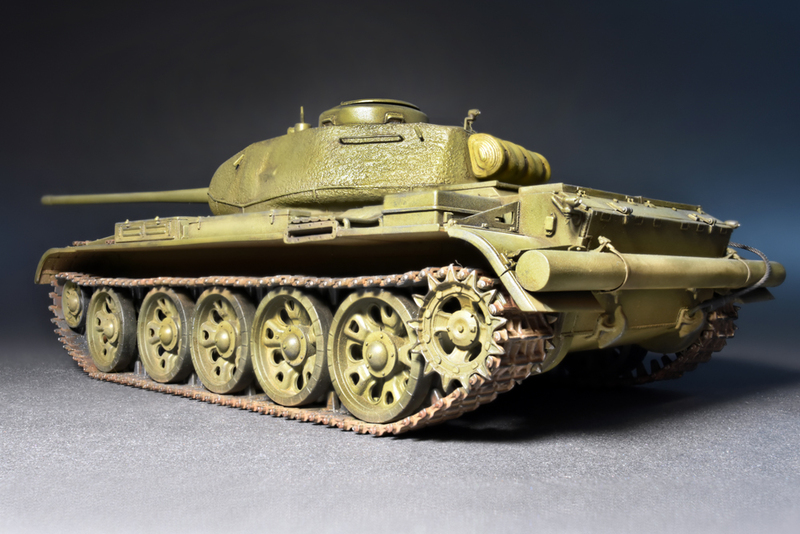 Although the T-44 used many components of the T-34, it had a new hull, and a modified model diesel engine, suspension and transmission. 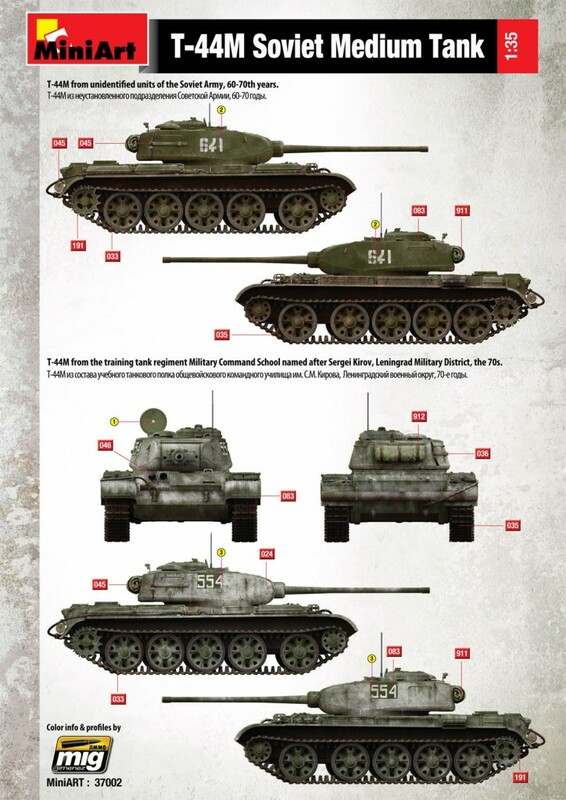 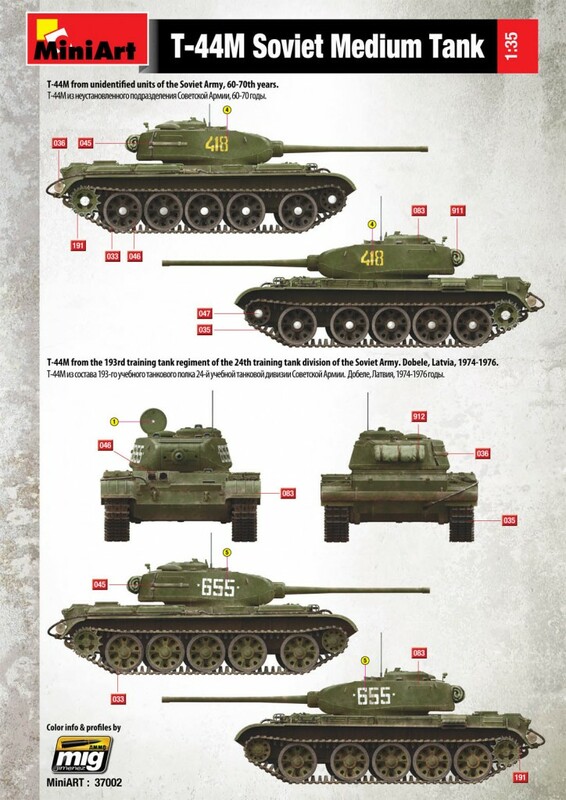 Since 1961 began modernization of tanks T-44 to T-44M. Tanks remained in service with the Soviet Army until 1980s. 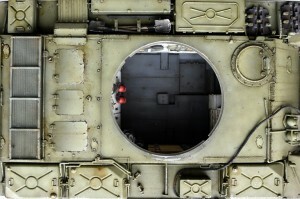 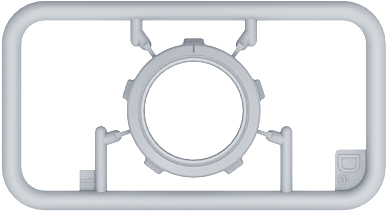 On the right fenders were installed three additional fuel tanks with capacity of 95 liters each of them. 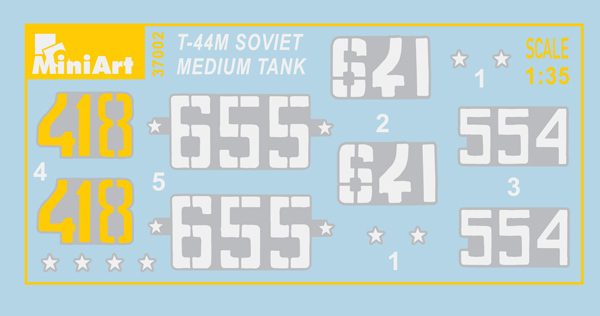 As a result, the fuel capacity was increased to 785 liters, so the maximal road operational range of the tank was increased to 420 km – 440 km.